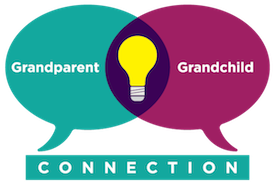 About a dozen years ago – when I was a middle-school student, like those I currently teach – my grandmother began sharing with me the details of her own teenage years. 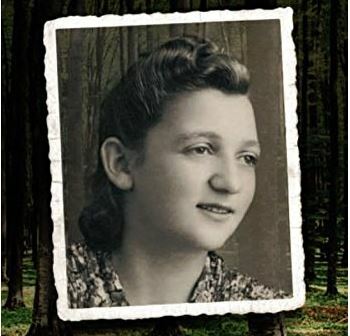 During the Holocaust, she was one of nearly 30,000 “Partisans” – Jewish and Russian fighters who resisted the Nazis, banding together in the Polish forests. As Grandma Sonia opened up, so did my whole world. I can hardly say that she had a “normal” youth, but that’s what it was until 1939, when the Soviets occupied her Polish village, Luboml. In 1941, the Germans invaded and established a highly restrictive ghetto for the Jews, and the true nightmare began. Sonia escaped into the surrounding forest with her parents and uncle in 1942. After enduring a horrendous winter on their own as fugitives, they managed to join with the Soviet Partisans. It was then that Sonia assumed the responsibilities of caring for wounded soldiers, guarding the camp at night, and using hand-grenades on missions to sabotage Nazi trains. Despite our lives having been so different on the surface, I know that Sonia felt many of the same things I have felt, as a young woman going out into the world: growing out of girlhood shyness, leaving a protected family cocoon, experiencing the first stirrings of romance. Today, I find myself struggling to understand her frame of mind at two distinct life-junctures: that of the courageous teenager who fought for survival, and that of the 87-year-old woman who has come so far and is surrounded by people who love and admire her – yet who at times feels utterly alone and empty, as one of so few survivors. Grandma bravely wrote and published a memoir several years ago, titled Here, There Are No Sarahs. There’s a story in it I’ve known since childhood, and it always stuck with me. During the first, bitter-cold winter that her family hid in the Polish forest, they were extremely depressed – huddled together for warmth and hardly speaking, knowing they were hunted and their lives were in danger. A Ukrainian peasant named Tichon came upon them. He could have abandoned them or even turned them over to the Nazis. Each person has the choice to make a difference. Instead, when he saw 16-year-old Sonia, he started to cry. “You older people have lived already,” he wept, “but this child hasn’t had the chance to live yet.” Tichon became instrumental in the survival of Sonia and her family, bringing them desperately needed food, information, and hope. My grandmother’s grateful recounting of this humble man’s heroic acts taught me that each of us has the power to stand up against evil and injustice, by helping those in need. I fight for human rights and justice because my grandmother fought for her life. As I’ve grown into adulthood, the more I have learned about Sonia’s unexpected role as a resistance fighter, the more I feel the mandate to carry on her spirit. Clearly, she was fighting for her life, and I fight for justice and human rights because I have the luxury to do so. Still, I believe that we are guided by the same truths, encapsulated in the words of Dr. Martin Luther King, Jr.: “Injustice anywhere is a threat to justice everywhere.” Sonia’s story was part of what inspired me to my current work as a teacher in a public school in a seriously disadvantaged neighborhood. At the same age as Sonia was in the forest, I organized a panel at my high school to raise awareness about the genocide in Darfur. A Sudanese refugee, then living the Bay Area, came to bear witness. Mr. Ibrahim spoke of his village and how he was among a handful of survivors out of 200 friends and family members. In a voice shaking with despair, frustration, and urgency, he begged us to do something. Watching the tears stream down his face, I felt an intense connection to this man, as if his family and mine had the same story. That was the moment I realized that human suffering cannot be compared – it is simply shared. We live in a world where injustice and bigotry, persecution and genocide, have still not been conquered. Sometimes this feels overwhelming. But I know I will always find strength and inspiration to keep doing my small part, when I think of my grandmother – the strongest woman I know.